Ha! Bet you thought you were getting a recipe when you saw the title right? But really…rooster soup???? Sabrina has asked us to use a chicken, rooster or turkey on our card and to use elements on our card that spell S-O-U-P. Now this was a challenge…I think this is the only stamp I have that has one of those birds on it! 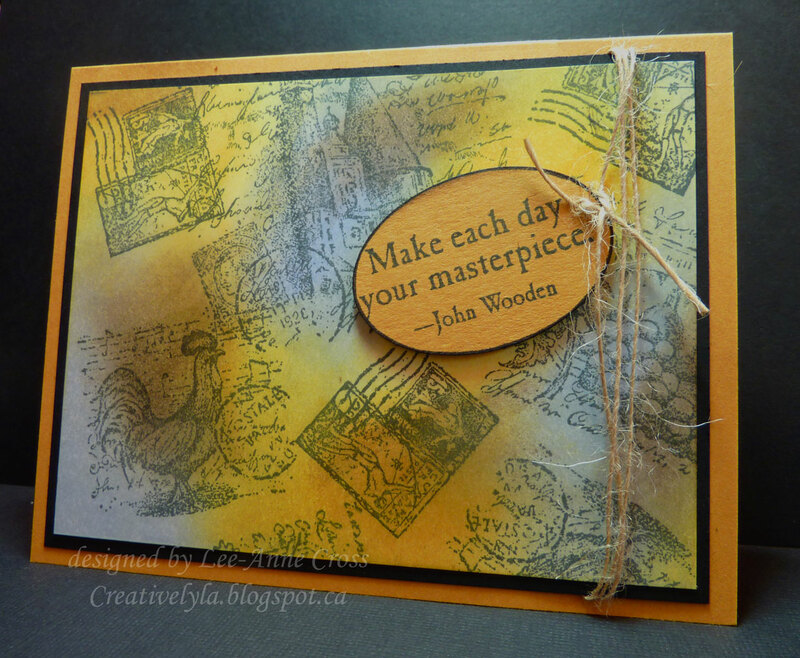 It’s an oldie but a goodie from Stampin’ Up! I simply stamped all the different images on a piece of white card stock and then sponged in lots of different colors. Tied some twine on it. Punched out an oval, stamped the sentiment on it and edged it with a marker. It’s been popped up on a dimensional. Back soon with more…still catching up on my Hope You Can Cling To Challenges. The more cards I can get done to send to Houston the better! If you’d like to join us, just click on the pink blinkie in the upper right hand corner! We’d love to have you participate!